These mint brownies are so quick and easy to put together, but are still impressive enough to bring to a holiday party. Creme de Menthe Brownies just might be your new favorite treat! I think my favorite thing about the holidays has to be all the amazingly delicious food, and these mint brownies are no exception. 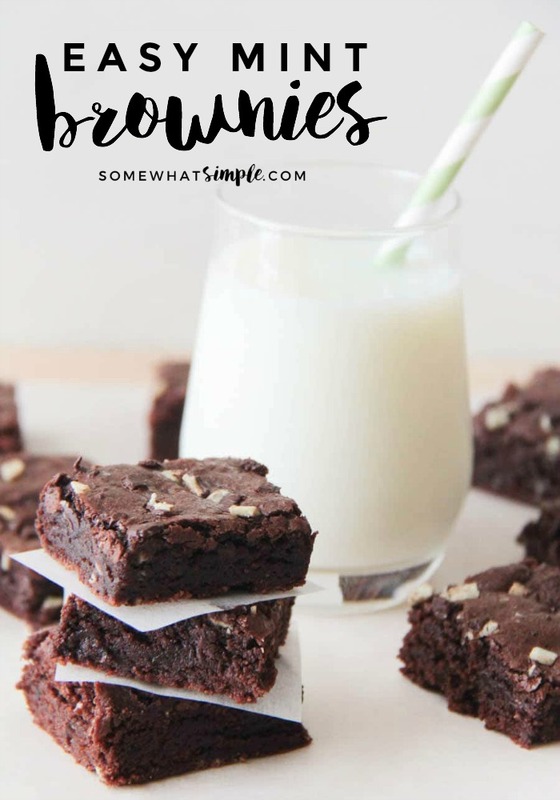 Although I’ve made a lot of brownies in my day, this homemade brownie recipe is my very favorite, and the one I always turn to when I need a fail proof recipe. Last week I had the totally brilliant idea of throwing in some Andes Creme de Menthe pieces, and let me just tell you… best decision ever! As much as I love mint, it can be a little overpowering at times – but not with these mint brownies! 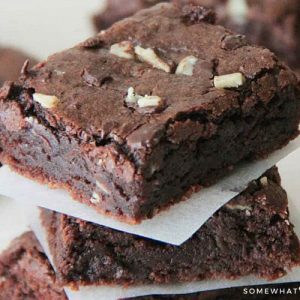 They have a subtle minty flavor, and it totally complements the dark chocolaty taste of the brownies. 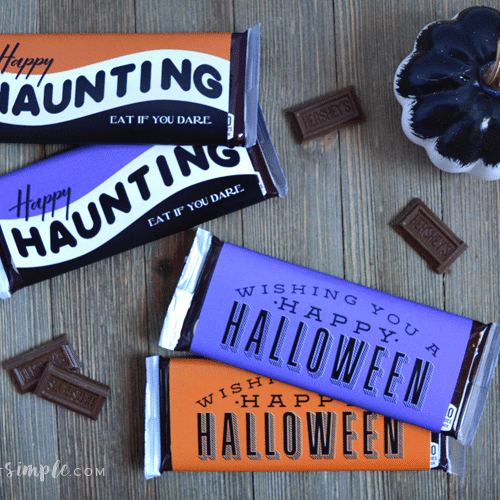 I love that the chocolate and mint harmonize instead of competing with each other. Oh, and they’re also pretty amazing warm with ice cream and chocolate sauce on top. Yum! Preheat oven to 350. Grease or line with foil a 9 x 9 baking dish. In a large bowl or the bowl of a stand mixer, cream together butter and sugar. Add vanilla and eggs, and mix until smooth. Add flour, cocoa, baking powder, and salt, and mix until just combined. Gently fold in creme de menthe pieces, reserving a few to sprinkle on top. Spread evenly in prepared pan, top with remaining creme de menthe pieces, and bake 20-25 minutes, or until a toothpick inserted about two inches from the side of the pan comes out clean. Let cool and then cut into squares (I usually cut 16 squares, since they are pretty rich). 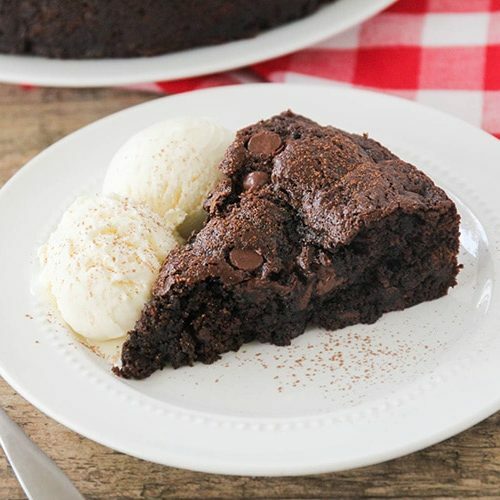 What Are Other Great Homemade Brownies? I am a huge fan of adding a scoop of ice cream on top of my brownies for dessert. 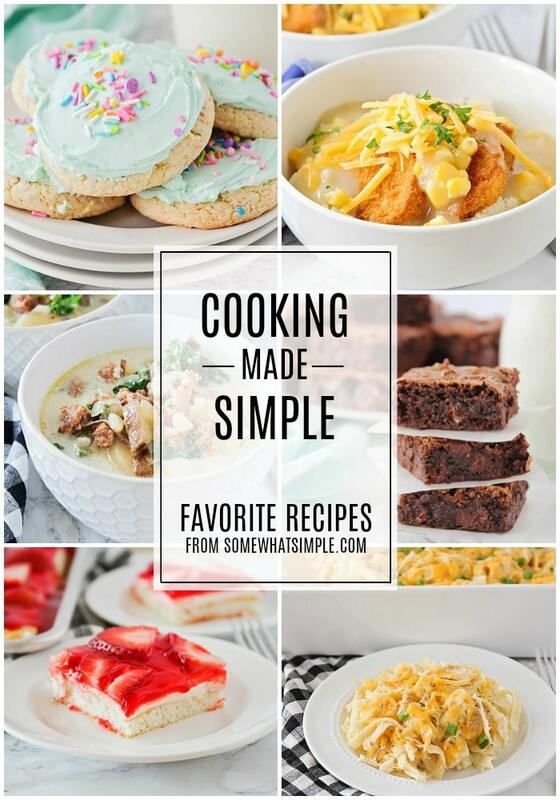 Here are a few of our favorite ice cream recipes we think you’ll love! 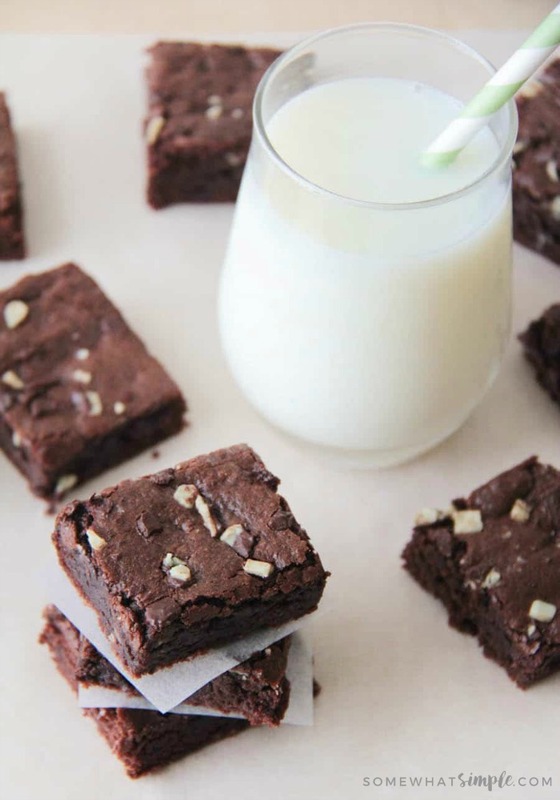 Grab a glass of milk and enjoy these delicious mint brownies! 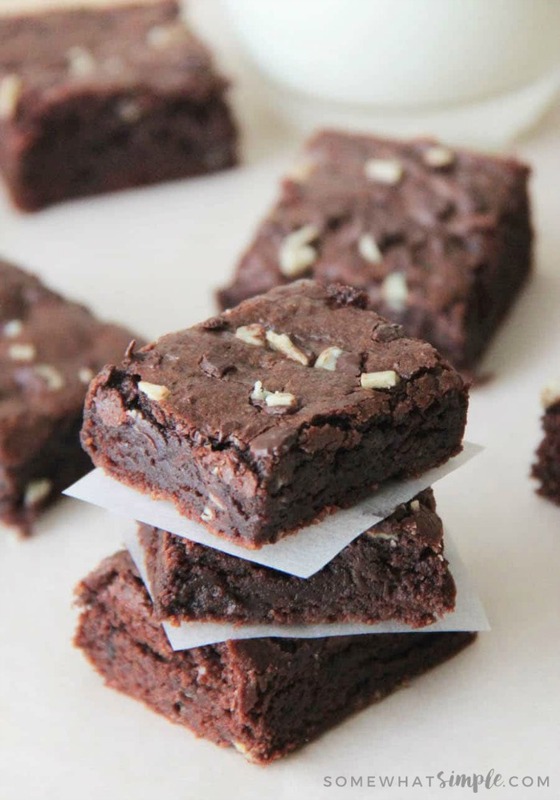 I love the idea of minty brownies, they sound delicious! Visiting from link party palooza.